The new Sun-Times logo incorporates a star from the Chicago flag. That’s a nod to the Chicagoans in every neighborhood who’ve helped keep the paper in business by reading it each day and coming to its website; to the businesses that advertise with it, and to the investors who fund its work — individuals as well as organized labor groups. Newspaper cover, before and after. “The Hardest-Working Paper in America” spot. The “other” newspaper the spot refers to is the Chicago Tribune. 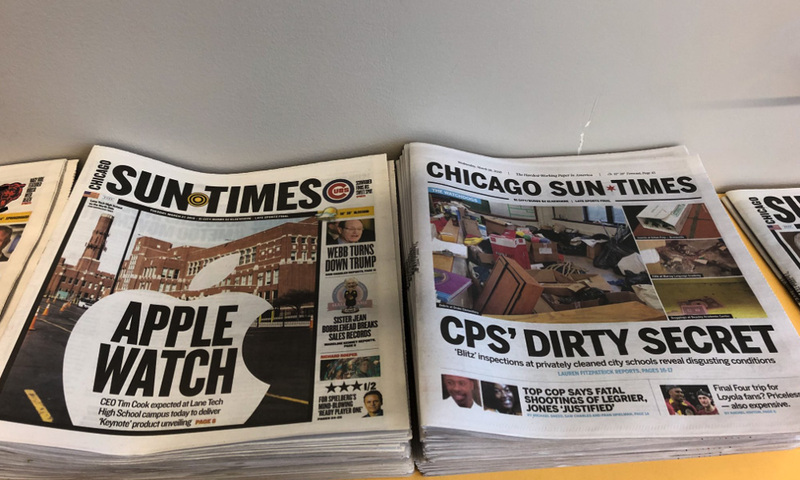 The old logo had pretty good typography and the right balance of a small “Chicago” and a much larger “Sun-Times”, since you are already in Chicago when you are getting that paper you don’t need to be reminded that it’s from Chicago. I’m guessing the yellow and black target mark was an abstract sun but that would be weird so I’m not clear what that was. The new logo doubles down on its Chicago-ness by making “Chicago” the same font size as the rest of the name and embedding a star from the Chicago flag to replace the sun-target mark. There is something very unrefined about the new logo; it feels clunky and heavy while also decreasing its impact on the page since now the logo is almost double the width (if they were both set at the same height) of the old logo. The one nice thing about it is the how the star sits between the “N” and the “T” and does a great job in posing as the hyphen. The shorthand version could have been pretty cool but, again, it’s just so horsey. The typography in the print edition doesn’t get that much better and, compared to the condensed font used previously, the redesign feels like a step back. The most entertaining part about this redesign is the spot directly above that throws some serious shade at its competitor, the Chicago Tribune. The spot talks the talk… too bad the redesign doesn’t quite walk the walk. Thanks to Henry Kruell for the tip. (Est. 1948) \"The Chicago Sun-Times is the oldest continuously published daily newspaper in Chicago. 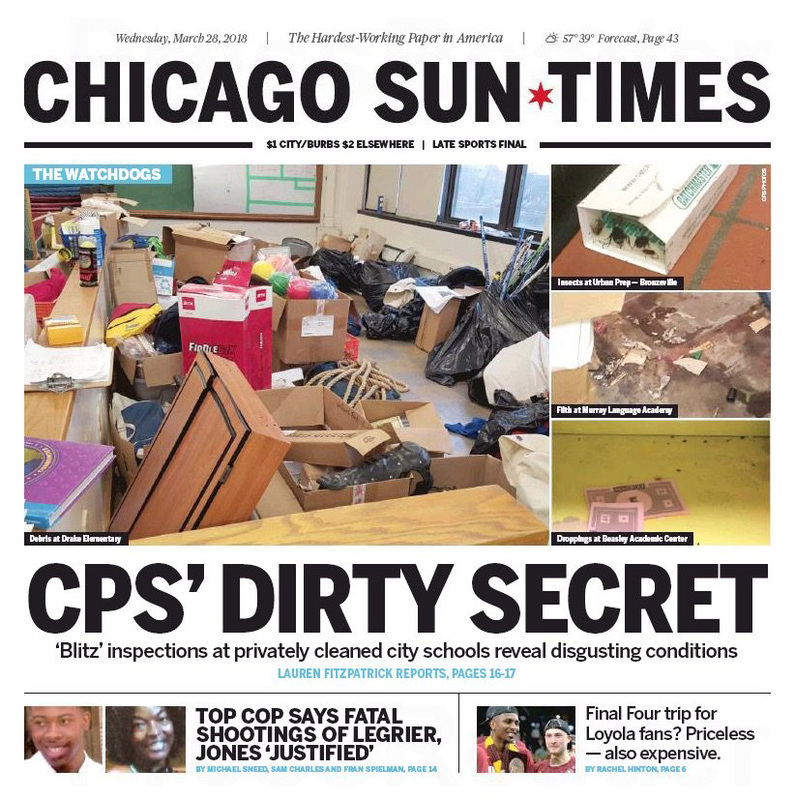 Winner of eight Pulitzer prizes, the expertise of the Chicago Sun-Times includes hard-hitting investigative reporting, in-depth political coverage, insightful sports analysis, entertainment reviews and cultural commentary.\"